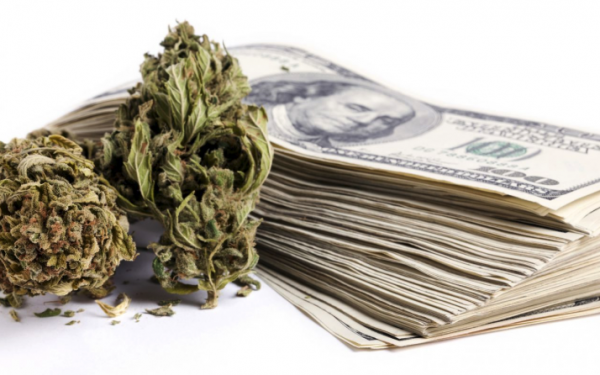 The City of West Hollywood finally has in place a five-member committee to provide an independent evaluation of applications it has received for approximately 300 cannabis licenses, applications that by themselves will generate nearly $3 million in fees. The City Attorney currently is reviewing the applications to ensure they meet basic criteria. Then the evaluation committee will choose the top eight applicants in each of five categories – medical cannabis sales, recreational cannabis sales, a lounge for smoking cannabis, a lounge for consuming other cannabis products and cannabis delivery services. The city will grant permits to eight applicants in each category. Successful applicants then must prove that they will be located in an appropriate area of the city (e.g. away from schools) and receive a business license from the city and from the State of California before opening their businesses. During the application period, the city received 90 applications to open recreational cannabis shops, 80 applications to open lounges where customers can smoke cannabis, 60 applications to open cannabis delivery services, 50 applications to sell cannabis for medical purposes and 20 applications to open lounges where people can consume food and candy laced with cannabis. Applicants in each category other than delivery had to pay a fee of $9.880. Applicants for a delivery fee had to pay a fee of $5,025. Those fees will be used to pay for the time city employees have invested in developing the complex application process and to compensate the evaluation committee members, whose hourly pay will average $175. Sam Baxter – Former Assistant City Manager for the City of West Hollywood. Baxterretired at the end of 2015 after working in executive level positions for the majority of his 23 years at the city. Sam has extensive knowledge of the city, its values and the variety of businesses that call West Hollywood home. Neil Hall – Neil Hall is a senior cannabis consultant with SCI Consulting Group and has over 40 years of experience with local government. Hall has assisted a number of cities in California with establishing cannabis ordinances and implementation guidelines. Hall has assisted cities with drafting cannabis ordinances, preparing submittal criteria, designing cannabis applications, reviewing submittals, and implementing cannabis policy. Lynne Lyman – Lynne Lyman is the former California State Director of the Drug Policy Alliance. The mission of the Drug Policy Alliance is to advance policies and attitudes that best reduce the harms of both drug use and drug prohibition. The Drug Policy Alliance was one of the co-authors of Proposition 64 and played a key leadership role in the campaign. Prior to the Drug Policy Alliance, Lyman held positions in both public sector and private organizations advocating for criminal justice reform, policy development, and community violence reduction. Kathleen Rosenow – Rosenow is a founding principal of the Rosenow Spevacek Group (RSG, Inc.), a local government, finance, and real estate consulting firm. Rosenow is retired, but during her time at RSG worked with hundreds of local governments and private sector businesses on economic development, financial and real estate projects, including the adoption of the West Hollywood Eastside Redevelopment Project Area. Rosenow has extensive knowledge of operating successful small businesses including management of RSG for 25-plus years, ownership of a hospitality business in Julian and partial ownership of a brewery in Santa Ana. Cynthia Wang – Wang is a principal at Studio Ren Architecture, based on Pasadena. She works primarily on hospitality, retail, office, and residential projects. Wang also has experience executing licensing and permitting documents for cannabis facilities in southern California, including the design of dispensaries. The process was established to ensure the decisions won’t be influenced by politics. However some applicants have engaged prominent lobbyists and made donations to City Council members’ charities in an apparent attempt to influence them. 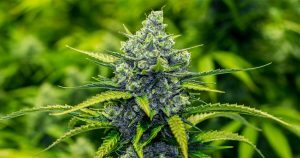 Thus far, three individuals or businesses interested in obtaining a cannabis license have engaged lobbyists, whose job is to advise their clients on navigating government bureaucracy and advocating for them before elected and appointed government officials. And three cannabis firms have made donations to the Gay Men’s Chorus of Los Angeles, a non-profit chaired by Councilmember John Duran that gets major financial support from lobbyists and businesses with contracts with the City of West Hollywood or that have issues before the City Council. The City Council is only likely to get directly involved if an applicant that is denied a license by the city’s Business Licensing Commission appeals that denial to the Council. Members of that commission are appointed by the Council. Other applicants with no West Hollywood connections have engaged local business owners as “minority partners” in an apparent effort to improve their chances of getting a license. The complex system for rating applications includes 12 points out of a total of 200 for various forms of community engagement. One local business owner has told WEHOville that he will receive substantial cash bonus if the application in which he is participating is approved. Given the number of applications and the complexity of the process, the city hasn’t set a date for announcing the winners. However, that date is likely to be sometime this summer. Though I don’t partake, I was and am for the legalization of Pot. But I gotta say, just anecdotally, so often when I take my dog out for his nightly walk, literally the streets smell of heavy heavy Pot. It’s kinda gross if one is not a smoker, but I look around, there are still homes and not high density, and I can’t figure out where of who is smoking so much it is solid smell for 1 block in all directions from my home. I hope the City starts enforcing the no smoking on public sidewalks. The smell of pot is everywhere now. Just when we got a handle on the no-smoking of cigarettes…now we have to deal with the smell of pot as we dine outside. Lovely. Not. Don’t worry, current regulations with more to be passed and enforced by the WeHo Security Ambassadors are coming to the rescue! Security ambassadors have NO authority to enforce anything. They simply call the WHSD to report crimes. Mayor John Grindr Duran, West Hollywood’s own smalltown Boss Tweed, must be licking his lips regarding the significant number of campaign donations he and the other two Johns can pocket for pay to play when it comes to getting $high$ in WEHO! $175 an hour average hourly pay to review applications. Only in looney tune left coast liberal Los Angeles county government! How about the $Hundreds of Millions for CEO’s and Top Corporate Executive’s Golden Parachutes routinely given out when they completely screw everything up? Only with right-wing corporate elites. Most working people get fired with great difficulty in getting another job if blamed for far less of a problem! Your example cites private companies that are not sending me tax bills nor collecting my tax dollars. Therefore i have no dog in that fight, if these supposed corporations you posit want to pay their executives “$Hundreds of Millions… [to] completely screw everything up” that’s between them and whomever is buying whatever these corporations are selling. If I don’t agree with their policy, i have the ability to vote with my wallet and say no thanks. In WeHo they are collecting my tax $ (property taxes); then they are charging me $2 an hour to park on the city street when i go out for dinner or a drink, banging me out for outrageous parking tickets if i forget to move my car, etc. And using these oppressive and relentless taxes to overpay all their white collar cronies and political pals. In this case $175/hr to process marijuana applications is beyond ridiculous. It continues to be Boss Tweed / Tamany Hall politics in WeHo. No you do have a dog in this fight without knowing it, this is by design! YOUR tax dollars go to corporate subsidies, with corporate elites having exclusive access to no bid contracts and, tax payers footing the bill for the entire military industrial complex that the upper 1% of the wealthy have a stake in. Let’s not forget all the tax credits and tax shelters that ONLY the super rich have access to, so now people like you are stuck with the bill. They use their political influence to design it that way, while the rest of us have been convinced to be NON-political and just chill! Many of the real estate moguls get breaks on their multi-billion dollar properties, while small time property owners are stuck with the bill and, then are convinced by corporate PR that one day they will be some type of corporate billionaire too but, blame the poor or minorities if it doesn’t happen! Now let’s try to figure out just who would have a motive and the power to make access to cannabis? Who are the applicants trying to bride their way into getting a license?? Huh? They paid a fee to have their application reviewed. How does bribery come me into play here? Please explain? The evaluation members seem experienced and let’s hope politics are avoided. It’s a nice chunk of change for the app process.